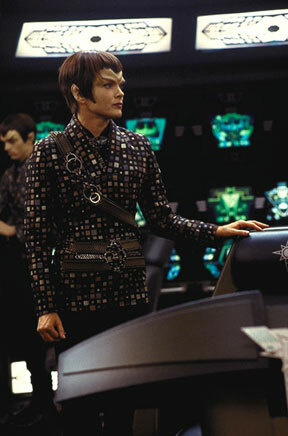 Dina Meyer as Commander Donatra in "Star Trek: Nemesis"
Any purchases through the Amazon.com link keep Gotham Clock Tower going. (Webspace sadly isn't free when you want your own domain!) So if you do purchase something through one of these links, thanks! Also, any donations through PayPal are greatly appreciated. Birds of Prey and its characters are copyright ©2002 Warner Bros., Tollin-Robbins Productions & DC Comics. This is a fan site and not authorized by the WB or DC. This is page copyright ©2002 Planet Krypton Productions, unless material is noted as coming from elsewhere.